- Thu Dec 07, 2017 12:15 am #72361 New website that is dedicated to Everything ESP releated! 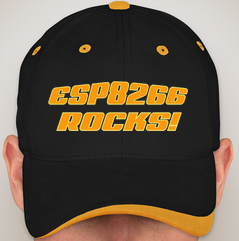 Signup to add your ESP8266 or ESP32 project to the site for the world to see. I am completely new to all of this and after hours and hours of searching online for an answer, I now turn to you with my greenhorn quest. My first question is: what esp8266 or esp32 board is right if I dont have or dont want to use a breadboard? Is there a way to simply hook up to my computers USB for programming and for power? Is a cheap nodemcu board with all you need. And you can use it just plugging it into the usb. Based on my experience, its so easy to work with!